If you are interested in getting involved then you should contact the branch, who will be able to provide you with information on how to go about doing this. Information on the types of roles is available on the UNISON website here. A trade union is run by its lay leaders, who are democratically elected by the membership. In seeking to become an activist yourself you will be directly helping to advocate for the needs of staff in your workplace in order to make a difference for the better. The two priorities of Stewards are organising and recruitment. Organising involves the facilitation of a strong collective staff voice in the workplace, allowing Stewards to seek improvements for our members (this may involve negotiating or petitioning for improvements in pay and terms & conditions, or seeking greater safeguards at work for colleagues working in vulnerable situations). Recruitment supports this as the more members we have, the stronger we are. Stewards also act as advocates for members in situations where individual representation is required. Examples might include disciplinary hearings, or situations where a member feels they are being mistreated at work or need support around their sickness absence. 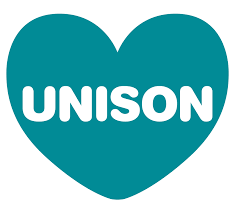 UNISON also has established Health and Safety, self-organised groups (women members, black members, disabled members, and LGBT members), and Equalities roles which members are welcome to stand for. Such roles have a focus on the issues of equalities and health & safety within the workplace, in addition to those that cover self-organised groupings. Further information on these roles is available on the main UNISON website here. What support is available, and how can I access this? UNISON undertakes to support all activists in their role, and is able to provide training to support your needs. We may also be able to put you in contact with other activists (both in and outside your workplace) for the purposes of establishing peer support groups. We also undertake to support new activists, and will be there for you should you encounter difficulties in undertaking your new role. Freedom to join a trade union is enshrined in law, and there are additional legal protections afforded to members who volunteer as activists. We are committed to supporting members in any situation and would encourage you to contact us should you have any concerns, but are nonetheless interested in becoming more active. Will I be able to make a difference? The only way to make a difference is by becoming active within your union. In order to improve the working lives of people UNISON needs local activists to transform their local workplaces. We are committed to supporting activists who want to help change their workplace for the better, and will support your development in achieving this.